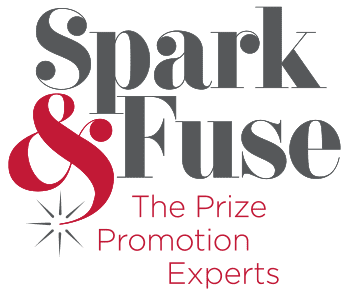 This spring we’re looking at ways you can perk up your existing prize promotion ideas. Tired of Twitter and Facebook? There are plenty more platforms which offer a fun, fresh and engaging way to run competitions and giveaways. 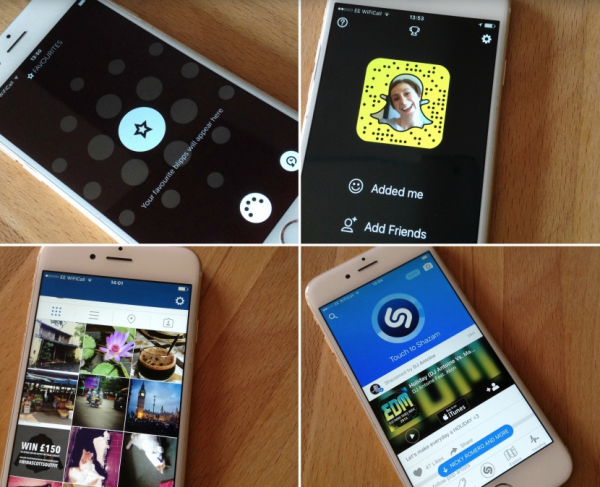 We explore the potential of Snapchat, Shazam, Blippar and Instagram. Snapchat is a social media platform that allows users to send videos and pictures that will self-destruct and vanish after being viewed. All the kids are on it. In fact Snapchat has 100 million daily active users. Brands would be mad not to tap into this audience, especially those targeting millennials. A prize giveaway is a useful tool to encourage people to follow and engage with your brand on Snapchat. If your followers are a bit thin on the ground or if you want to increase your number of followers then promoting your giveaway across other platforms to invite them to follow you on Snapchat for a chance to win prizes is a good starting point. Users need to be following your account in order to receive and respond to prize promotion messages via Snapchat. Some promoters are naturally put off running a giveaway due to the disappearing nature of the images and videos (granted it’s not easy to judge a competition when the entries disappear before your very eyes) but others are finding ways around this, using software and screengrabs. Brands shouldn’t take themselves too seriously on Snapchat and it’s a good opportunity to show off your fun side. Tap into Snapchat’s existing functionality such as filters and draw tools (which users will already be familiar with) to create entertaining and user-generated content. If you’d rather collate entries via an online form then you could still use Snapchat to engage and grow followers by using it to deliver ‘secret’ URLs, similar to the Allure.com promotion. As with other social media sites brands should be aware of Snapchat’s rules for running promotions. The promoter is responsible for providing full Ts&Cs, and making it clear that the competition or giveaway is in no way associated with Snapchat. It doesn’t permit promoters to encourage spammy behaviour, such as asking participants to send Snaps to friends, or illegal or illicit behaviour for that matter. Snapchat’s rules state that promoters should make it easy for users to get involved in giveaways and competitions by providing clear and simple instructions. Something we, of course, firmly agree with. Familiarise yourself with how to use Snapchat – read our post written by an expert (i.e. a teenager). Blippar uses augmented reality and image recognition to transform how consumers engage with the world around them. It provides a chance for consumers to discover more about a product or brand on their mobile device at the push of a button – and for brands it provides an opportunity to share information about their product or service. It has over 65m users in more than 170 countries, and currently more than 1,000 brands use Blippar. But how does it actually work? Well, Blippar technology converts digital content to physical objects – it could be a packet of cereal, an ad in a magazine or a DVD cover – by making the item ‘Blippable’. Users need to have the Blippar app on their mobile device, then where the Blippar badge is shown, scan the item to reveal more information. There are loads of ways this technology can be exploited to engage consumers, drive sales and win customers – using a prize promotion is just one of them. Check out these good examples of how brands are exploiting Blippar’s potential. Back in 2002 Shazam was commonly known as “2580”. If you wanted to identify a piece of music, this was a magical tool. Dial the short code, wave the phone in the direction of the music source, and after just 30 seconds the user would receive a text message with the song title and artist. And as technology developed it even offered a chance to download the song. Things have moved on a bit for Shazam. It’s now one of the top ten apps in the world with an impressive reach of more than 500 million users in 200 countries and its monthly active users exceeds 100 million. That’s not to be sniffed at. Last year Shazam introduced not only visual recognition – a functionality similar to Blippar – but it also teamed up with Gimbal to offer a more personalised experience for users through beacon technology. This means that it can offer location-rich and contextually relevant content to its users. There are exciting opportunities to harness the power of Shazam although it’s important to know that Shazam isn’t about pushing content – it still leaves the user in control over what they do (or don’t) Shazam. Promoters will need to be creative with their offline content to capture the attention of consumers and encourage them to Shazam. A prize promotion as part of your campaign is one method to significantly increase levels of engagement. Instagram has over 400 million monthly active users uploading an average of 80 million photos per day. A prize promotion on this platform can be used to create user-generated content and learn more about what your followers think of your brand. There are a few things to be mindful of when running a promotion on Instagram, not least being aware of their general rules. As with Snapchat, promoters must include a complete release of Instagram in the terms and conditions. Instagram also specifies that promoters should not inaccurately tag content or encourage their followers to do so. For example, a prize draw entrant shouldn’t be asked to tag themselves or a friend if they aren’t featured in the photo. The copyright in this post belongs to Spark & Fuse Marketing Ltd. All rights reserved. Related article: Are you using Snapchat for Business?